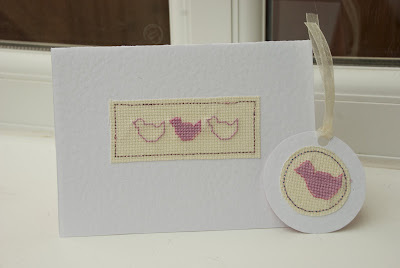 From something random to keep idle hands busy, to baby duck greetings. 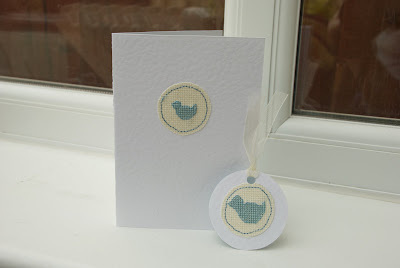 The stitching on the blue duck tag is a little wonky (Ooops!) but it was my first attempt. I just hope that the Mummy to be doesn't mind too much! The insides of the cards and backs of the tags are lined with matching pink or blue card. So what do you think?